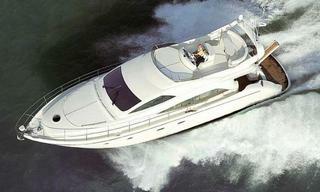 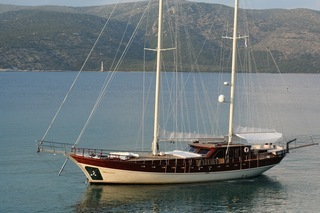 This is not for overnighting but it will cruise you to every overnite spot you could dream of. 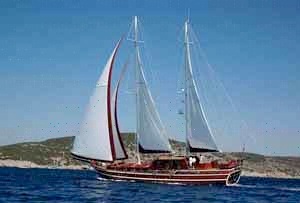 Crew of two to three depending on group. 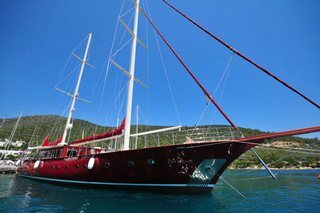 Catering for lunches and dinners can be arranged but also can deliver you to the restaurant of your choice along the seaside. 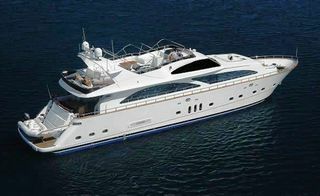 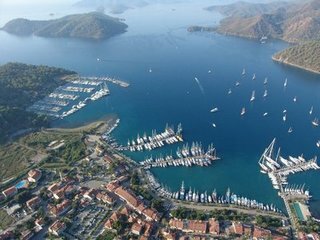 This cruise is for those who are looking for a Yacht journey for 7 days on the seaand want Private yachting style but just cannot quite get your fellow friends to join you. 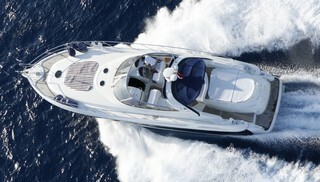 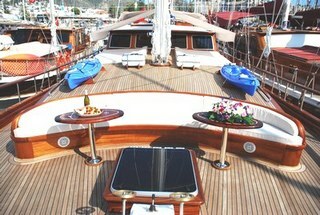 You will have a very high standard of yacht and crew. 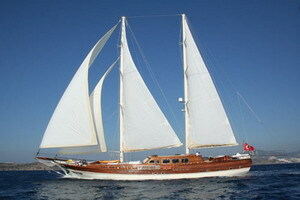 Almost a customized trip by adding tours you want to do (noted below) and You will make new friends. 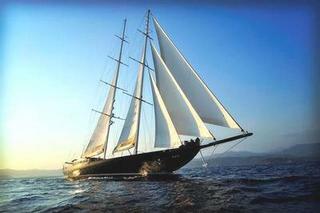 Cruises embark on Saturday request to us directly for availability by sending in a res form. 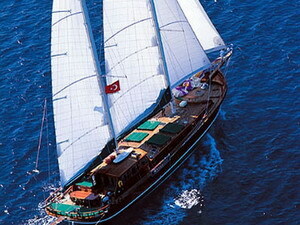 Price based on per person per day minimium 7 days. 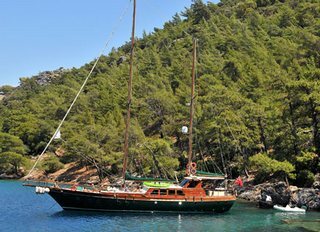 Ideal for groups of up to ten, staying in five double cabins, Gozdem was renovated in 2012/13 so she offers the feel of a traditional gulet with a wonderful, experienced crew and accommodation standards which equal those of many new yachts. 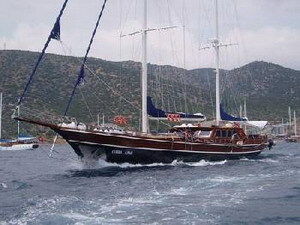 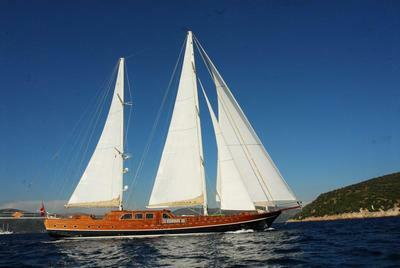 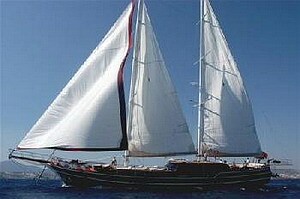 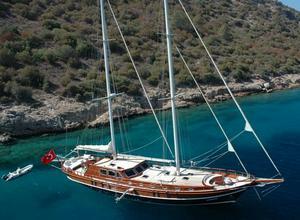 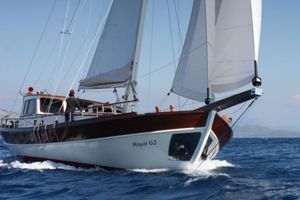 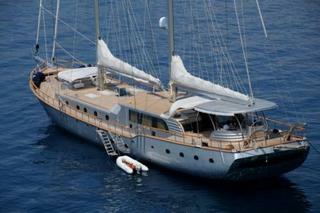 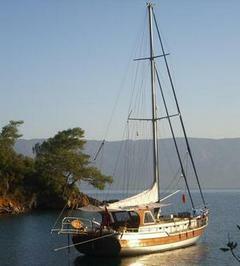 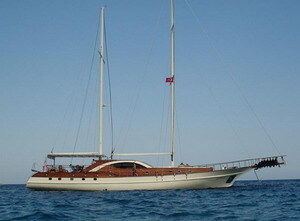 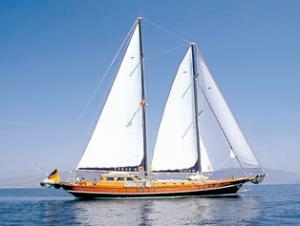 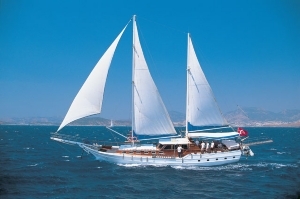 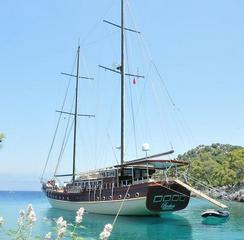 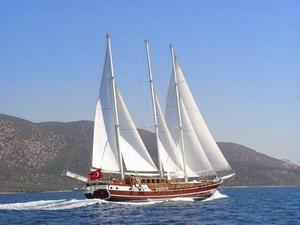 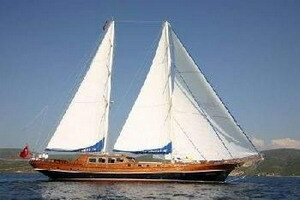 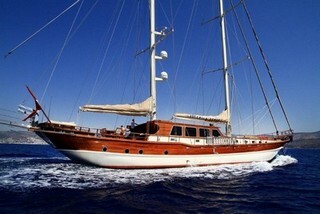 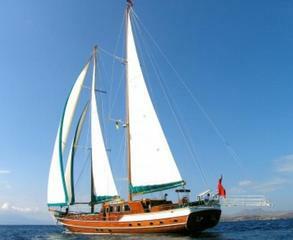 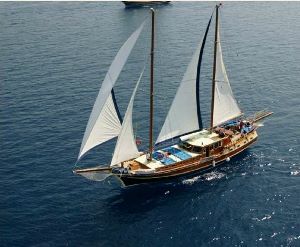 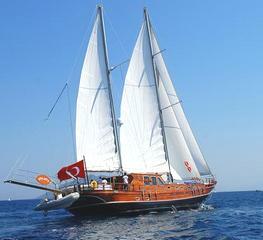 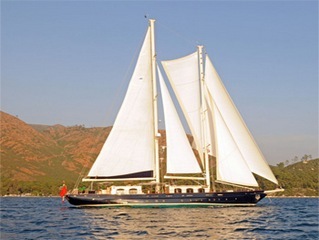 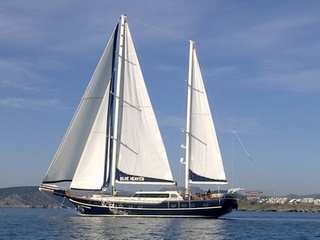 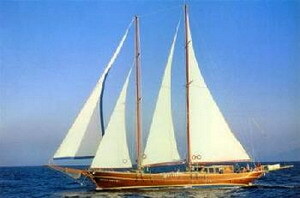 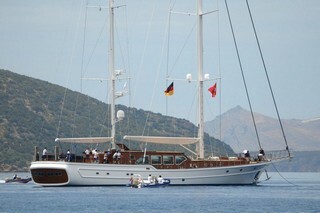 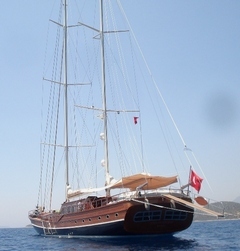 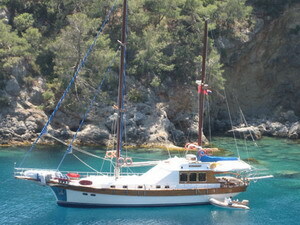 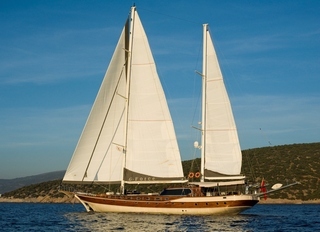 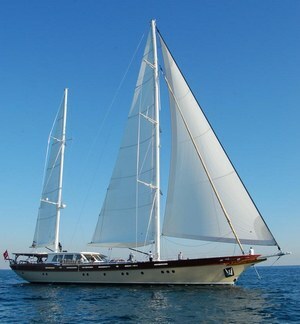 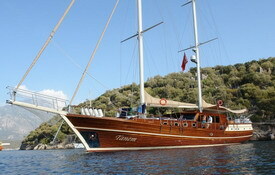 This gulet has spacious decks both aft and forward, and many water toys which will delight kids of any age. 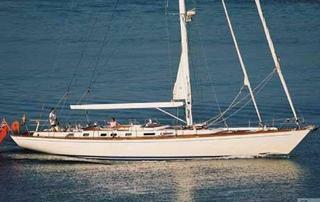 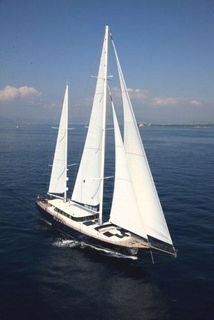 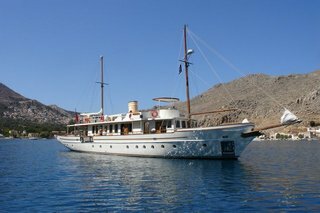 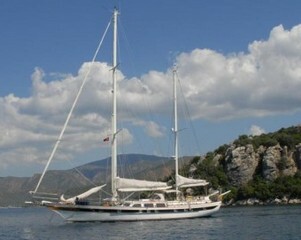 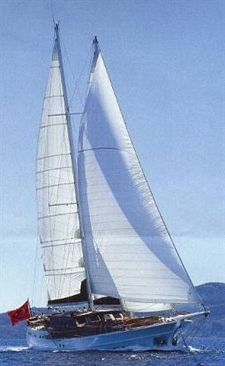 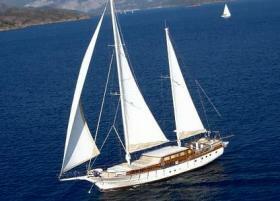 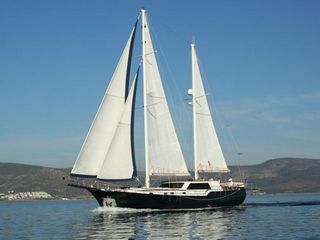 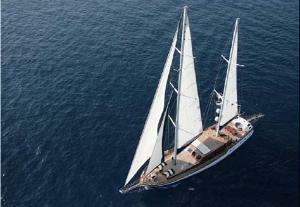 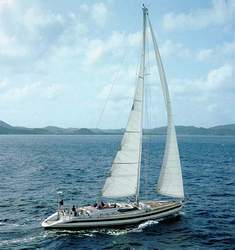 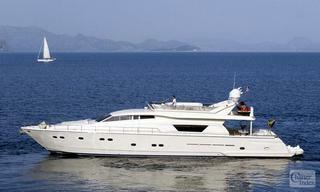 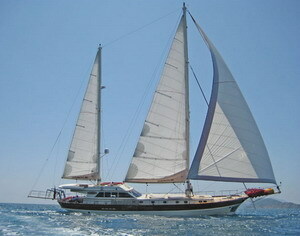 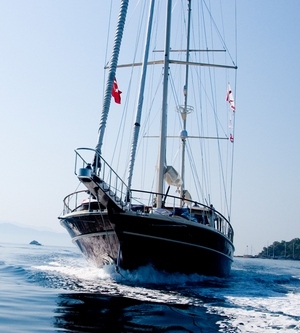 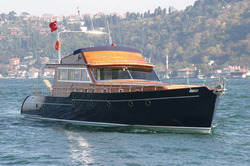 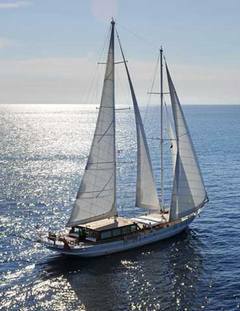 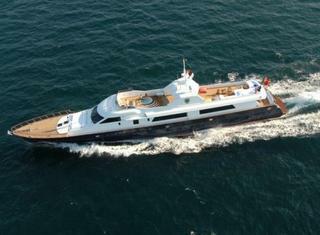 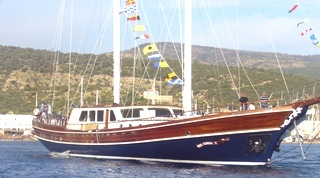 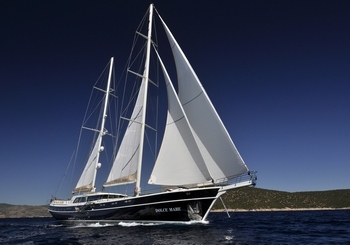 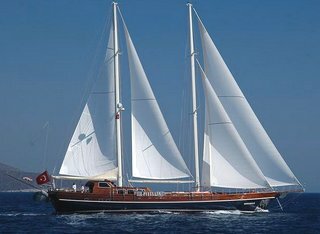 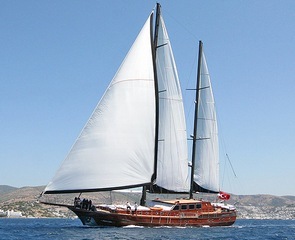 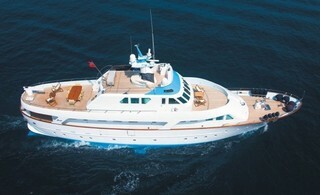 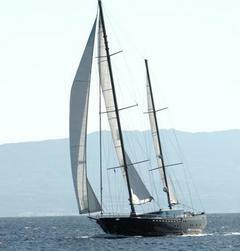 M/S Schatz is a beautiful yacht with an excellent charter record that has all the comforts expected in a large gulet. 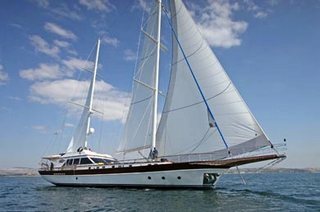 She was refit to the highest standards in 2013 with no expense spared, and has fresh, modern yet comfortable interiors with accommodation for 10 guests in 5 spacious cabins. 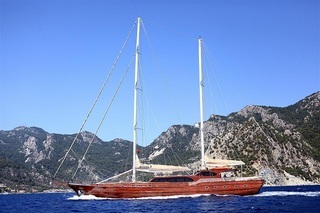 Launched in late 2013, Gulmaria is designed on modern lines and offers an upper deck flybridge but the aft deck does not have the spacious aft deck cushions that Gulets in Turkey are known for, a disappoint in design. 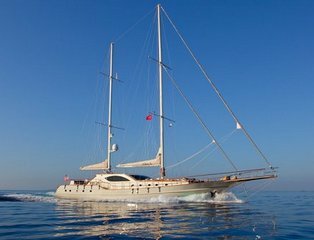 This is not a super luxury yacht lacking in many serivice items, Watersports usage is limited to times Please be careful in chartering this yacht.Most important Be very aware that Owners do not honor what is in contract and our experience with present crew has not had good reviews from Various agents as well as our own customers. 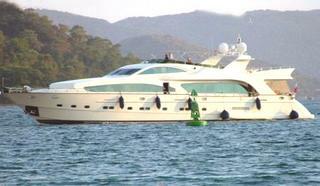 Most important is that Owner charges for Fees to clients which were to be included in contracts so although our clients have not had to pay anything it Has been not a pleasant affair for any body involved. 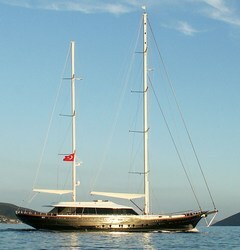 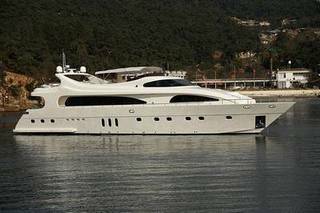 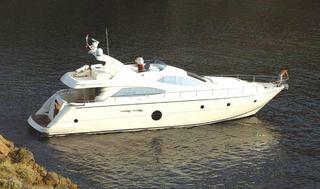 Not considered a good yacht for chartering!! 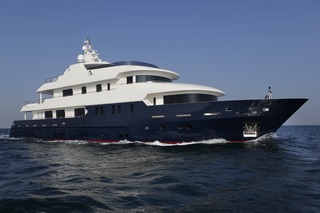 All with en suite Bathroom. 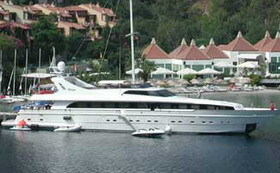 1 x Diesel nouverania 6m.